We provide all forms of pumping, repair, inspection and maintenance of septic systems in King, Snohomish, Island, Pierce, Skagit and Whatcom Counties. Our mission is to educate and support residential and real estate customers regarding their septic systems, thereby protecting the environment, as well as making economical choices. 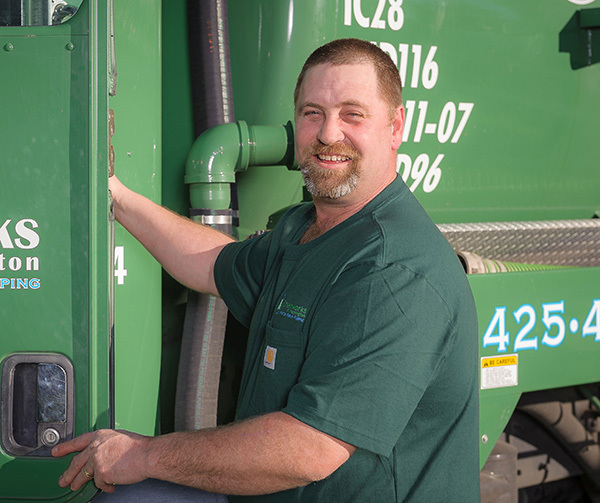 With over a decade of experience, Greenworks is the contractor to call when you want an honest opinion, the opportunity to learn about your septic system, and to understand how to use it wisely and save you money in the long run. Recognized as a leader in his field, Martin Moe is able to conduct all levels of county-mandated (OSM) inspections in most of Northwest Washington, including proprietary systems such as Advantex, Whitewater and subsurface drip drainfields.